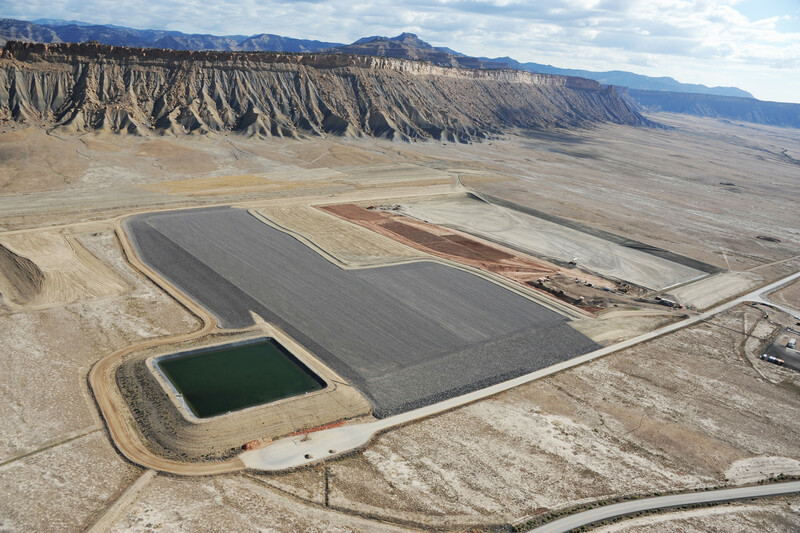 This new disposal cell, on the north side of Interstate 70 in eastern Utah, is for uranium mill tailings and debris from a mill site in Moab, Utah, 30 miles south. Contaminated material started arriving in 2009 on a specially constructed railway, at the rate of around 5,000 tons per train. The total amount of material destined for the site is 16 million tons. When the site is complete, sometime after 2019, it will be a mile long, a half a mile wide, and 25 feet tall, with another 25 feet of material below grade.